Walder Foundation Products is proud to represent A B Chance and their line of Helical Products. We can assist with design and implementation of Helical Products on your projects throughout the Virginia market. We have inventory readily available. Helical piles are a fast economical, engineered solution to provide support for structures on your projects. 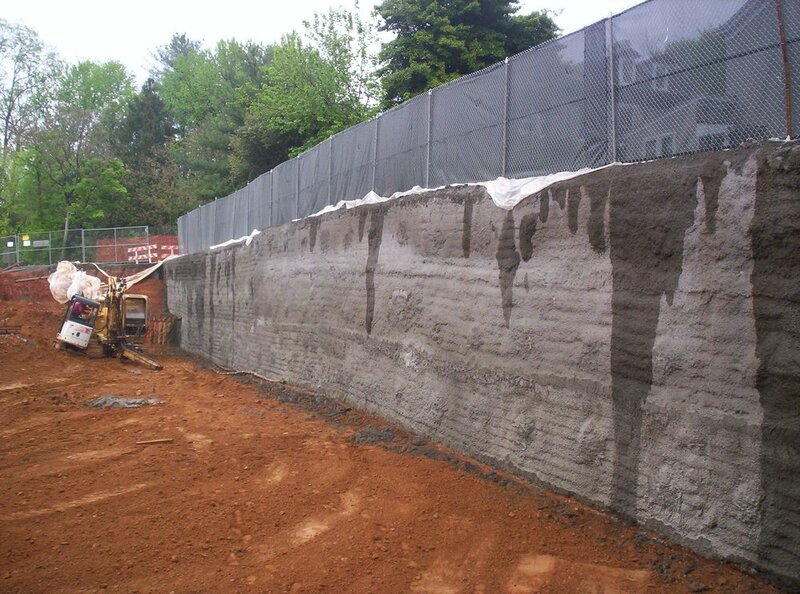 If your project has a basement or is below grade we can help design a below wall grade wall to support the adjacent earth and allow you to work safely to install the structure at sub-grade. A B Chance utilizes helical soil screw with shotcrete as well as conventional tieback anchors utilized with pile & lagging or sheetpiling. If your project is dealing with a settled foundation, Chance underpinning brackets utilizing helical piles can provide support and in some cases raise the settled foundation back to it's original position. Site lighting foundations do not have to be poured foundations requiring anchor bolts, concrete, & soil removal. Chance Instant Foundations are engineered hydraulically installed foundations that already have the anchor bolts in them. Saves time and money.